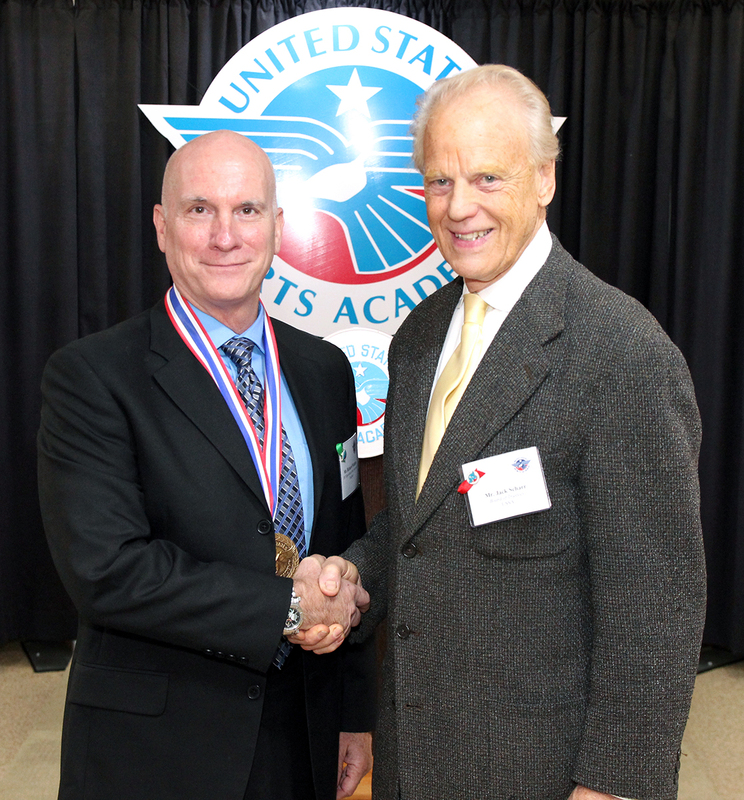 Nationally acclaimed American sculptor Richard Watkins, left, has been named the United States Sports Academy’s 2017 Sport Artist of the Year, Sculptor. 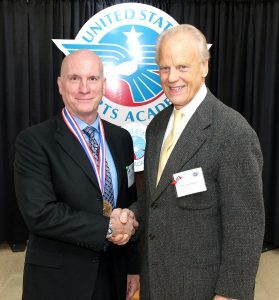 Watkins was presented the honor by Academy Trustee Jack Scharr at the Academy’s 33rd Annual Awards of Sport celebration held recently on campus in Daphne, Ala.
DAPHNE, Ala. – Richard Watkins, a sculptor known nationally for his award-winning work depicting stylized and whimsical athletes and animals, has been named the United States Sports Academy’s 2017 Sport Artist of the Year, Sculptor. Watkins was presented the honor by Academy Trustee Jack Scharr at the Academy’s 33rd Annual Awards of Sport celebration held recently on campus in Daphne, Ala.
Watkins, who is based in Atlanta, Ga., attended design school at the University of Cincinnati and spent 25 years working in the toy business, where he designed and developed toys for several large toy manufacturers. He began to work professionally as a sculptor after his retirement from the toy business.  His work is known for capturing the energy, dynamics and balance of amazing athletes at that single moment of intense action: the slam dunk, the long pass into the end zone, the double play. He exaggerates the physical proportions to an extreme, giving them incredible action and an engaging quality. Watkins grew up in West Virginia, where he enjoyed drawing and sculpting with whatever materials he could find. 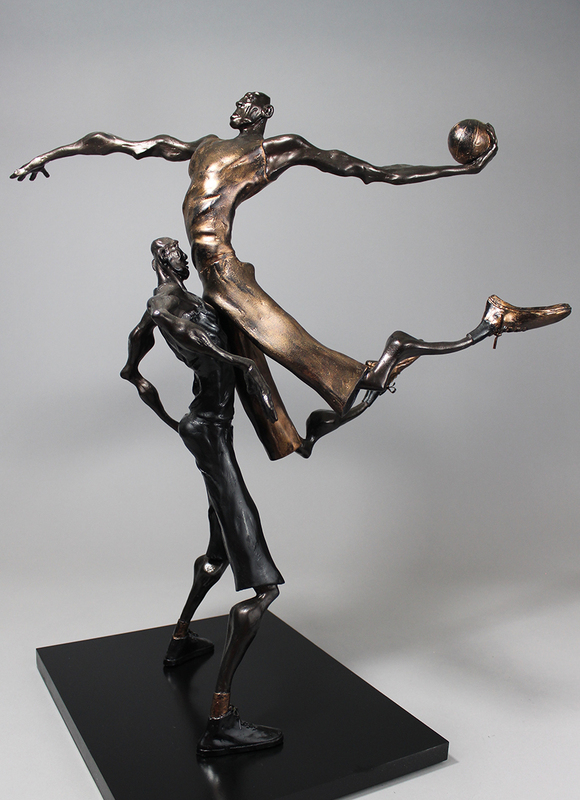 Richard Watkins, the American Sport Art Museum and Archives (ASAMA) 2017 Sport Artist of the Year, Sculptor, donated his work, “Slam Dunk” to the museum.